I’ve always wondered why church is the way it is – why we do what we do. Why we keep doing this ‘church’ thing in the midst of a world that is so busy. Why we keep showing up week after week when there are so many other things shouting for our time and attention. Or why we’d want to go back when we’ve been hurt by the church? Or why we’d start when church has never been part of our regular weekly practice? So at Vox we’ve spent a lot of time thinking about what the point of all this is. And here’s where we’ve got to so far: what if church could be about more than just programs or budgets or ‘going through the motions’ or following traditions? Not because those things are wrong or bad, but just because it could be so much more than that? What if instead church could be about relationships and community and ultimately about God? If we could create a community that was focused on pursuing the life that Jesus promised us? The life he taught us, showed us, and died and rose again to make possible? We suspect that if we did this, we might focus on building a bigger table with enough space for everyone; no matter how messy or broken their lives felt, or how much of an outsider or insider they thought they were. We might focus on learning to put into practice the ways that Jesus taught us, showed us, died and rose again to make possible in the very midst of our everyday lives through. We think we could do this in our time together each Sunday, yes. But we also think it should happen over meals with each other through the week, through one-on-one and group discussions or through regular socials in the pub, at the park or in each others’ homes. And we might focus on making a difference in the world around us. Maybe by caring for refugees. Or working to improve affordable housing for vulnerable people in our community. Or perhaps simply by helping our friends when it was time to move. Ultimately, I think if we did this that we might realize that church could be a place of safety and welcome and community that would allow us to heal and connect and grow and develop more and more into the people God made us to be. So that’s what we want to invite you to: to join us on our journey to see what church could be. We’d love for you to be a part of our community. Join us! The idea of a mission statement can sometimes feel a little corporate, and cold. That definitely isn’t the kind of place that Vox is, but we still wanted to make sure we had an anchor that would help keep us grounded in who we feel God has called us to be as a church family. If you would like to watch a more detailed breakdown on our mission statement you can watch this video of Nathan teaching on it at a Sunday gathering of Vox. Statements of Faith have been part of the church going back centuries and centuries. They carry with them key truths about who God is and who we are, as well as representing the way that thousands upon thousands of Christians over the years have wrestled with what it means to follow Jesus. We don’t expect or require that folks agree with everything in this document to be part of our community. If you want to join us, we want you here, regardless of what you would or would not include in your own Statement of Faith. 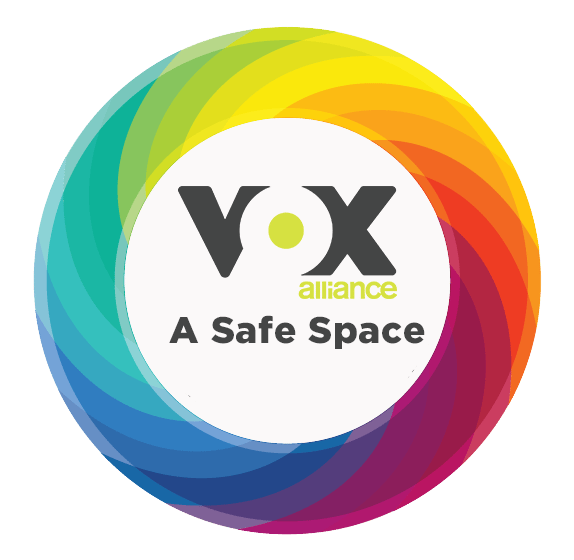 But as a member of the Christian and Missionary Alliance in Canada, Vox Alliance shares this Statement of Faith with all churches within our movement, and so we wanted to include it so that you could see where we’re coming from. To view the statement of faith, click here. If you’d like to read a little bit about our leadership you can do that here.